Based on the assessment undertaken , the total estimated additional loan loss provision of MERCANTILE INVESTMENT & FINANCE PLC as at 31 st March 2018 on adoption of SLFRS 9, was expected to increase by 12% compared to the total impairment provision determined as per LKAS 39. The impact of the new classification and measurement approach for financial assets is not expected to be material. 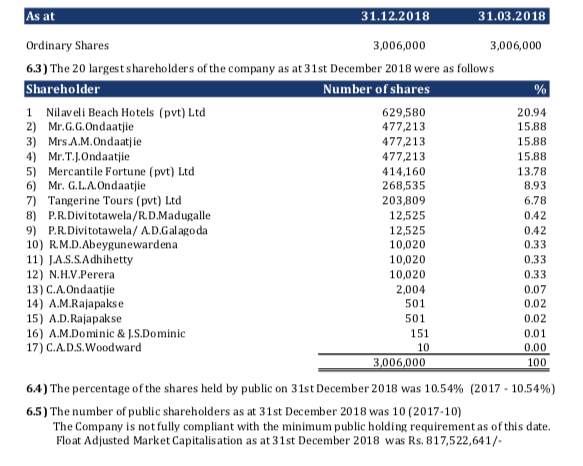 Accordingly, the increase in impairment provision based on ECL model under SLFRS 9, had it been effective as at 31st March , 2018, would have reduced the MERCANTILE INVESTMENT & FINANCE PLC net assets by approximately 0.4%. The company is in the process of validating the impact of migration to SLFRS 9 as at 31st December , 2018. There were no changes to the Accounting Policies and methods of computation since the publication of the Audited Financial Statements of MERCANTILE INVESTMENT & FINANCE PLC for the year ended 31st March 2018.
measurement approach for financial assets that reflects the business model in which assets are managed based on their cash flow characteristics. Based on the “Statement of Alternative Treatment (SoAT) on the Figures in the Interim Financial Statements” issued by The Institute of CharteredAccountants of Sri Lanka, entities are granted with the option to prepare Interim Financial Statements continuing the application of LKAS 39 with disclosures on impact to the Income Statement and Statement of Profit or Loss and Other Comprehensive Income for the period, if SLFRS 9 has been applied. 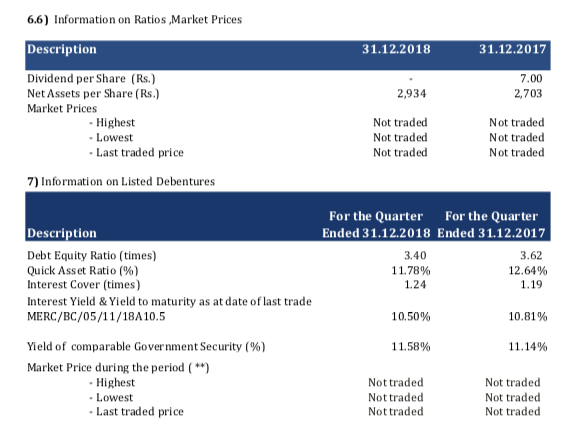 Accordingly, as permitted by the above SoAT, the company has prepared the Interim Financial Statements for the quarter ended 31st December 2018 based on LKAS 39. So what the point, btw they can acccount the change as per Slfrs 1.